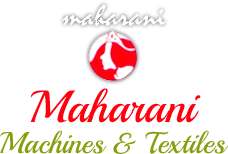 Located at Jaipur (Rajasthan, India), Maharani Machines & Textiles was founded in the year 1990 by Mr. Pradeep Bhora, the Director of the company. With his support, the company has been able to attain credibility and reliability in the packaging sector. He is the man who supervises entire organizational activities and ensures that endeavors come out with fruitful results. Our team acts as a mediator between our vendors and clients. They communicate to the clients in order to comprehend their exact requirement and then, put best of their ability to offer machines as per their need. It is due to their untiring support, we have been able to maintain continuous supply of technologically upgraded machines. Being a client-oriented organization, we ensure to provide clients with flawless filling and packaging machines. We ensure to procure products from the renowned manufacturers of the industry. Machines available at our end are quality tested and ensure efficient performance. To fulfill our commitment of timely delivery, we have developed a wide spread distribution network. Our network enables us to reach each corner of the market efficiently within determined time frame. Annual Turnover Rs. 50 Lakh to 1 Crore or 1,00,000 - 2,00,000 USD Approx.